Above postcard, circa 1910, kindly sent by Rory Kehoe. Above photo 2007 by Jacqui Sadler Creative Commons Licence. Above drawing taken from their web site. 2014. 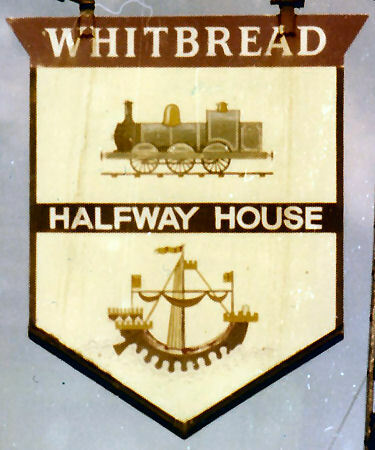 Above sign left and right, date unknown. Above sign left July 1991. Sign right, 2011. Above photo April 2018, kindly taken and sent by Rory Kehoe. Kentish Weekly Post or Canterbury Journal 22 April 1796. 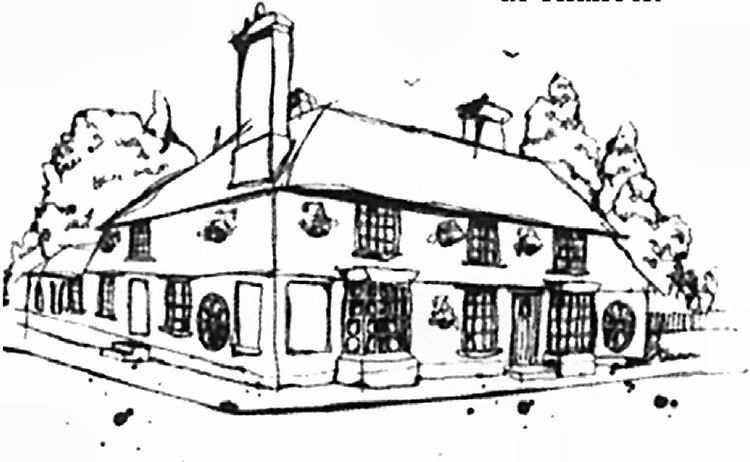 A New-built Messuage, being a Public-house in full trade, called the "Half-Way House," with stables and suitable out-buildings, and two acres of land, more or less, thereto belonging, situate in the parish of Wye, and adjoining the turnpike road leading from Faversham to Ashford, now in the occupation of Thomas Austen. Morning Post, 13 March 1841. The Tickham hounds on Monday, at "Halfway House," Challock. West Kent Guardian 17 February 1844. On Friday a serious accident happened to John Barling, huntsman of the Tickham Fox Hounds. In taking a leap the horse fell, and both the animal and his rider rolled over together. Mr. Barling's foot was entangled in the stirrup, and his spur was buried in the horse's flank. On getting up the horse kicked Mr. B. on the forehead inflicting a frightful wound, which bled profusely, much to the gratification of the hounds, which surrounded him and licked up the blood. The poor fellow was at first thought to be killed. 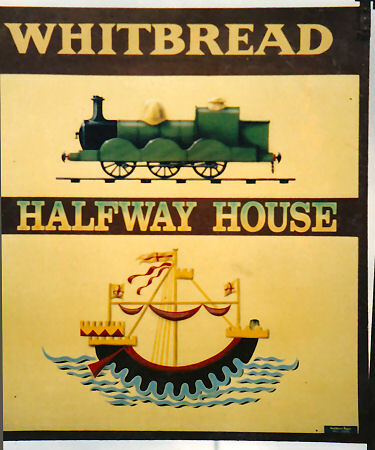 He was carried to the "Half-Way House," Challock, and afterwards conveyed in a chaise to his father's at Lynsted, and under able medical care is doing better than was expected. Maidstone Telegraph 04 April 1868. COUNTY INTELLIGENCE. 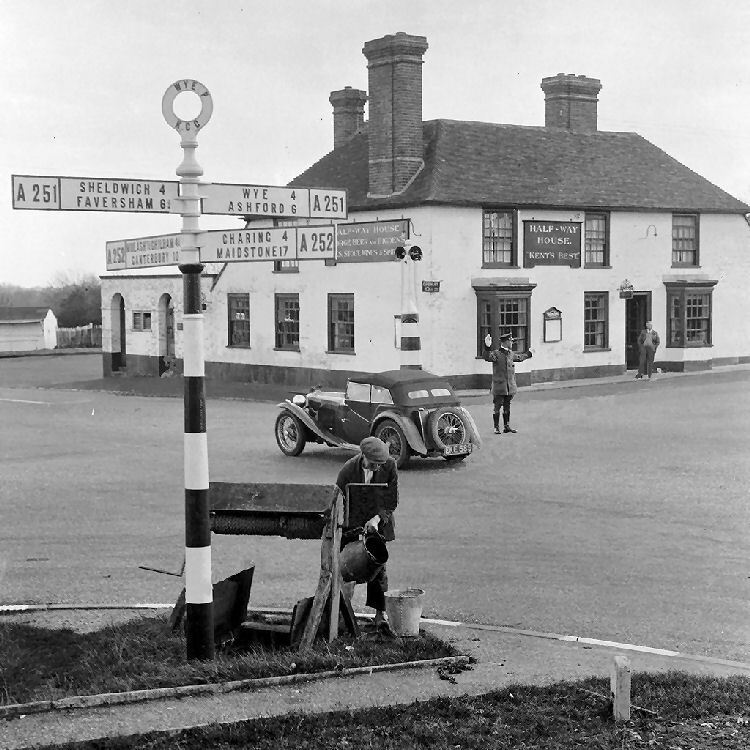 ASHFORD. PETTY THEFT. 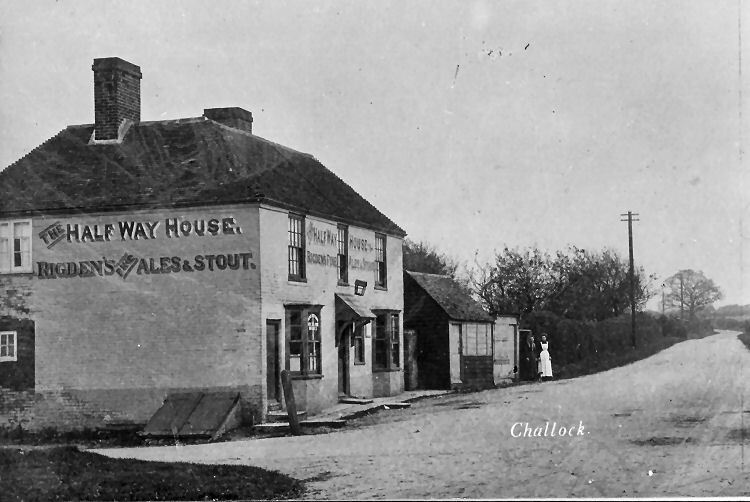 At the Petty Sessions, on Tuesday, a young man named Alfred Pantney, a farm servant at Teynham, was committed for a week with hard labour for stealing a dog's collar, value 1s 6d, the property of a gentleman named Charles William Challoner, from the "Half Way House," Wye. 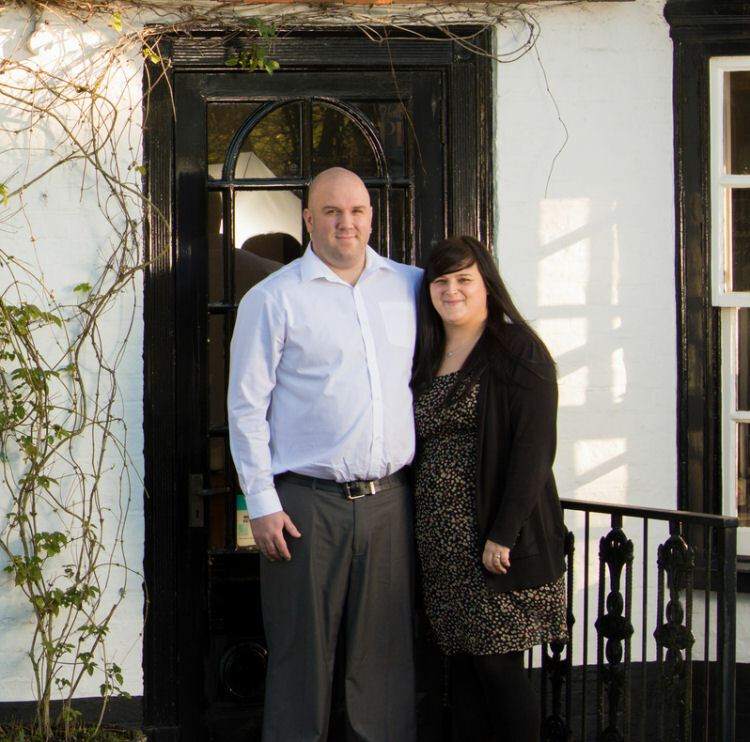 Above photo showing Keith and Nicola, licensees since November 2013. From the https://www.kentonline.co.uk By Georgia Woolf, 13 July 2018. 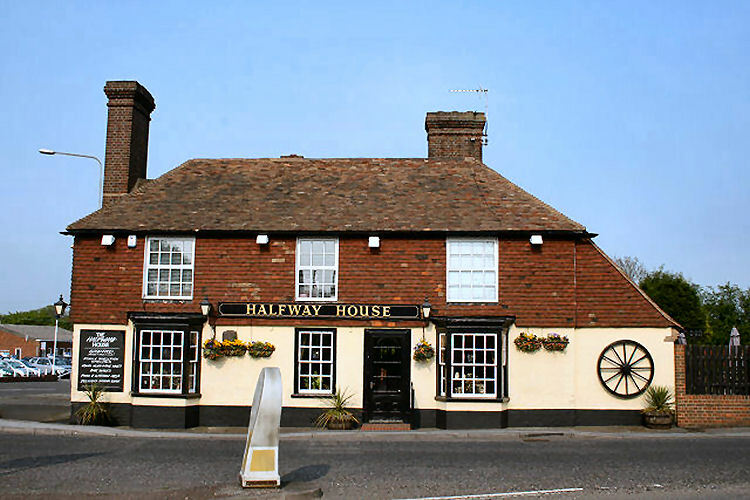 Halfway House pub in Challock near Ashford gets one-star rating. A village pub has been told it must improve after receiving a one-star rating from food hygiene inspectors. 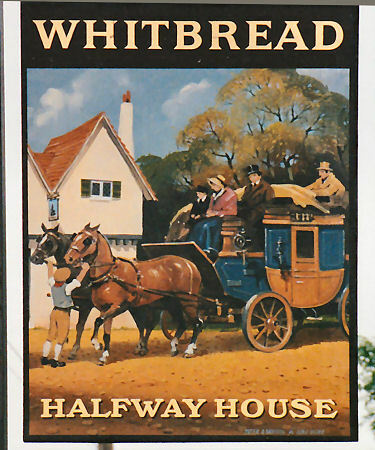 The "Halfway House" in Canterbury Road, Challock, was handed the poor score by Ashford Borough Council (ABC). Inspectors discovered staff were not trained in food hygiene and found more attention to cleaning the floor was needed. They also raised concerns over the lack of a documented food safety management system. Pub owners were told the problems must be rectified by the next inspection. Landlord Syjit Shrestha - who took over the site seven months ago - says he did not have enough time to improve the condition of the pub before the inspection in April. He said: "Most of the problems were structural and were not to do with food hygiene as the pub was given to me in a broken way. "We have made a lot of improvements and refurbishments since the inspection and the floor will be changed in the next couple of weeks. "We are waiting for the council to do another inspection and I know we will get five-star next time after making these changes." Mr Shrestha says all kitchen staff have now obtained food hygiene certificates following ABC's visit. A follow-up inspection is due to take place at the end of July to review the establishment. From the https://www.kentonline.co.uk By Georgia Woolf, 7 August 2018. 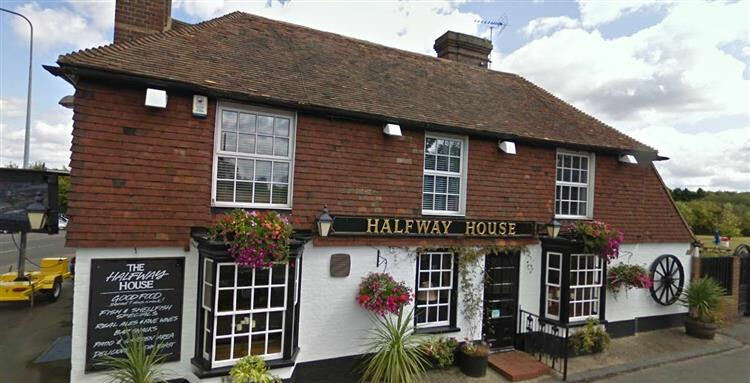 Halfway House pub in Challock near Ashford gets five-star rating. A village pub told to clean up its act has received a five-star food hygiene rating. 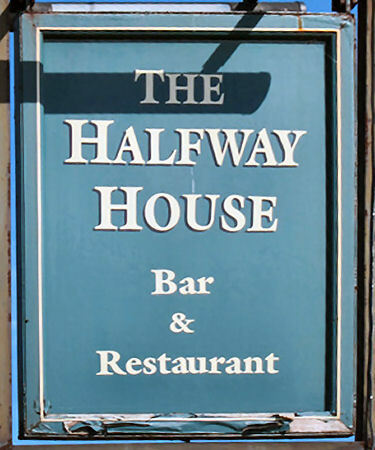 Inspectors revisited the Halfway House in Canterbury Road, Challock, at the end of July to check if improvements had been made. 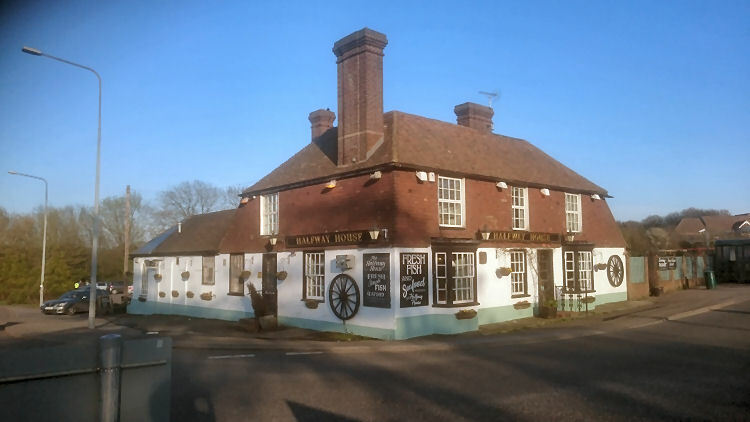 The pub was handed a one-star rating by Ashford Borough Council (ABC) earlier this year after inspectors discovered staff were not trained in food hygiene and found more attention to cleaning the floor was needed. Inspectors now say the conditions have much improved since the previous visit. Landlord Syjit Shrestha said: “I am very happy that we have managed to get our five stars back - we couldn’t show proof of paperwork during the last inspection due to management changes which marked us down.